During pregnancy, it's important to eat a healthy, balanced diet in order to make sure you're providing your developing fetus with the nutrients it needs. While citric acid technically contains calories, it's not an important part of a pregnancy diet. Neither, however, will it hurt you metabolically, though it may affect your comfort. The foods you eat provide your cells -- and those of your developing fetus, if you're pregnant -- with the energy you need to engage in various functions and the building blocks you use to make cellular products. Proteins, carbohydrates and fats contain calories, which means you can use them for energy. Citric acid also contains calories, according to the Alcohol Tobacco Tax and Trade Bureau. However, you don't take it up into the cells nearly as efficiently as you do the other nutrient molecules. Citric acid is very common in foods. In many fruits and fruit juices, it occurs naturally. For instance, citrus fruits are major sources of citric acid. Many processed foods also contain citric acid as an additive. Like all acids, it has a sour flavor, but it's safe for human consumption. As such, it's popular in processed foods to add tart flavor. Citric acid is also a preservative, which further increases its popularity in processed foods. There are no scientific studies that suggest citric acid is unsafe for consumption during pregnancy or any other time. You can consume foods that contain naturally occurring or added citric acid without concern. 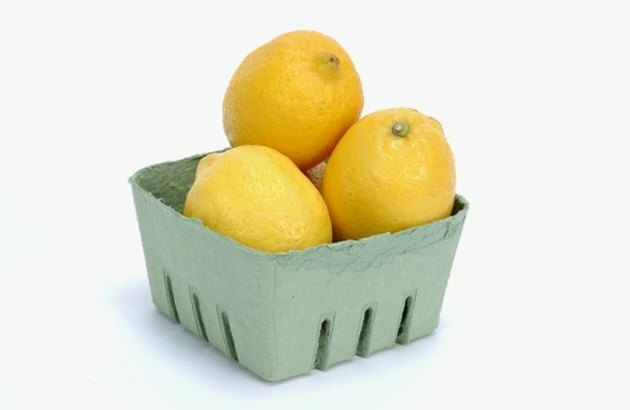 Furthermore, you don't need to worry that citric acid in food -- which isn't usually included in the report of a food's caloric content -- is going to significantly impact the number of calories you're consuming and negatively affect your attempt to control your weight during pregnancy. While citric acid doesn't significantly affect your metabolism during pregnancy, it may have another effect. When you're pregnant, you tend to lose tone in the cardiac sphincter, which separates the stomach from the esophagus. This increases the likelihood of acid reflux, according to Heidi Murkoff and Sharon Mazel in their book "What To Expect When You're Expecting." Some pregnant women find that eating citric acid increases reflux, while others notice no such effect.